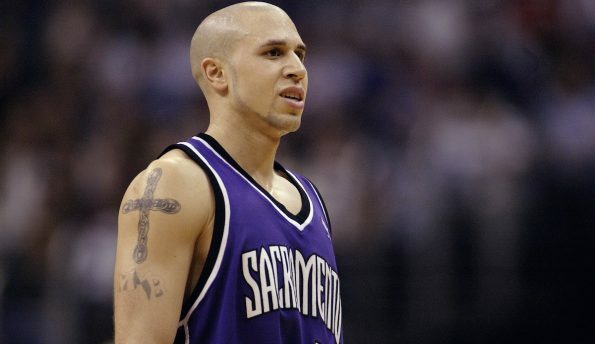 When Mike Bibby was playing in the NBA between 1998 and 2012, he was always in great shape, but he never had the type of body you’d look at and say, “Wow, that dude is jacked!” Apparently, that’s because Bibby’s coaches would never allow him to take on such a physique. Once I retired, I had all the time in the world. Now I can lift heavier. I drop my kids off at school, and I’m at the gym until they have to get picked up. All that lifting has transformed Bibby into an absolute monster! How jacked is Bibby on a scale of 1-10? How about a 12!!! Someone needs to sign him just so he can set screens all game. For more about Bibby and his new lifestyle, check out the GQ article here.